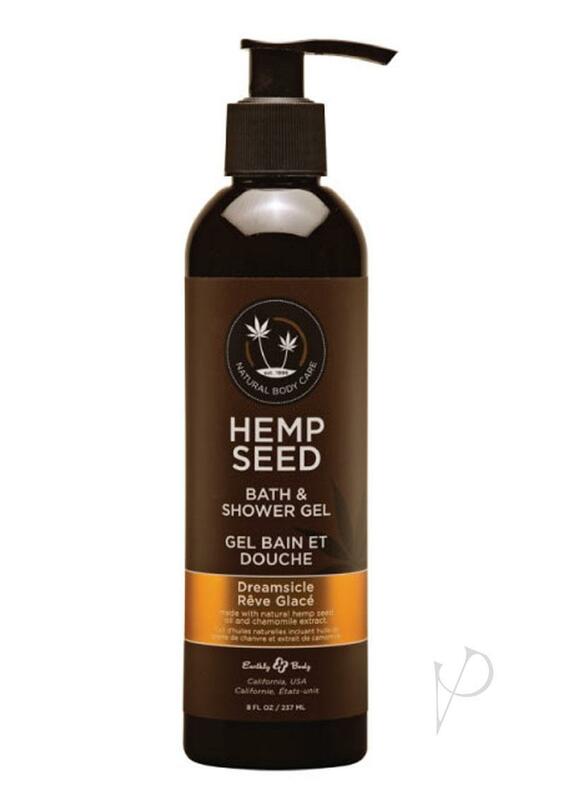 Ditch your skin-drying soaps and experience the luxury of our hemp seed oil bath & shower gel. This unique, moisturizing formula gently cleanses the skin, leaving every inch of your body velvety soft and sensually smooth. - Hemp seed oil has high levels of Omega 3 and 6 Essential Fatty Acids which nourish and protect the skin. - Seaweed extract has a wealth of essential vitamins, minerals and antioxidants. It helps revitalize and moisturize the skin. - Bitter orange extract balances and refreshes the skin. - Peach kernel extract contains a large amount of Vitamin C which helps maintain healthy skin and fights against free radicals. - Evening primrose extract nourishes the skin with essential fatty acids and leaves it feeling supple and looking youthful.